A lemon can be described as a defective or faulty vehicle. Let’s suppose you have purchased a new vehicle and you can’t wait to show it off to your friends. 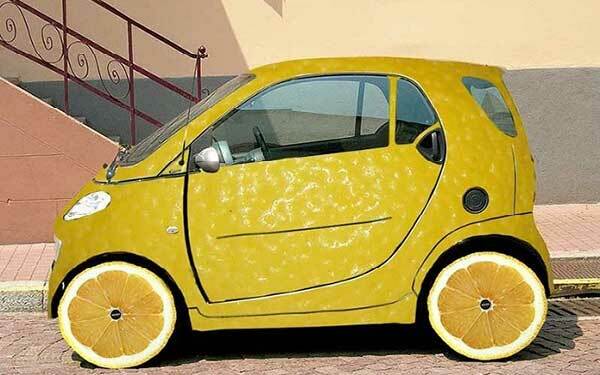 However, if you have a lemon, your joy will be short lived because your new vehicle isn’t exactly what you think it is. A lemon will generally begin to show signs of being damaged or defective. Noticing the signs, you go to a repair shop with a bit of hope that your vehicle will be up and running again soon. But, a week after you experience another problem and here’s when the symptoms of a lemon are being seen clearly. Therefore, a lemon is a defective vehicle that you have been tricked into buying. What is the Used Car Lemon Law? As mentioned earlier, the lemon law is your best friend. It protects people from having to deal with a vehicle that is considered faulty or a “lemon” through no fault of the new owner. This law was introduced to keep dealerships and private sellers honest and protect consumers from faulty vehicles. As a buyer, if you are told that a car is in good condition, but soon after buying it your vehicle breaks down, there are huge chances that the car was faulty even before you purchased it. Additionally, there is also a good chance that the previous owner of seller was already aware that the problem existed. Every state has different versions of the lemon law for used cars. However, the main purpose of this law is to protect innocent consumers from dishonest sellers. Most states specify a minimum number of days in which the car is out of service, or the number of repair attempts before qualifying a car as a lemon. The lemon law will generally indicate coverage time period that will protect you from costly expenses either based on a specific number of years or months, number of miles, or the express warranty. When Does A Vehicle Qualify As A Lemon? The vehicle has a gross weight under 10,000 pounds. The vehicle breaks down below 18,000 miles of purchase. The vehicle has been repaired more than four or five times after purchased. The vehicle has a manufacturer warranty and has less than 36,000 miles on it. The vehicle has an extended warranty that protects the car for a longer period of time. The vehicle is in really bad condition and does not meet the National Highway Safety Standards. The vehicle is deemed as a “certified pre-owned vehicle’ by the manufacturer but comes with a shorter warranty or is faulty. To determine that you are innocent and that you have been fooled into buying a faulty vehicle, you need to first look for ways to prove that your vehicle is a lemon. To do so, first run vehicle history reports for CarFax or Autocheck. You can even consider checking with the Federal Government (NMVTIS) National Motor Vehicle Title Information system to obtain reports. These reports will expose many of the hidden problems of your vehicle including branded titles and prior accidents. Gather all this information and create a separate document to build a solid argument, as the next step would be to make a lemon law claim. In addition to the vehicle history reports, keep records of all repairs performed and problems with your vehicle after the purchase. Please note that without these documents, proving whether or not your vehicle is a lemon can be very difficult. Your second step would be to visit a dealership and ask the dealer to claim on your behalf that your car qualifies as a lemon. If the dealer does not cooperate, you can contact the manufacturer directly. Upon calling the manufacturer, detail all the problems related to your vehicle and specifically ask for their procedure for filing a lemon law claim. Keep in mind that since some state’s lemon law on used cars are typically based on the express warranty, you don’t want to waste too much time otherwise, you may not be able to receive compensation. 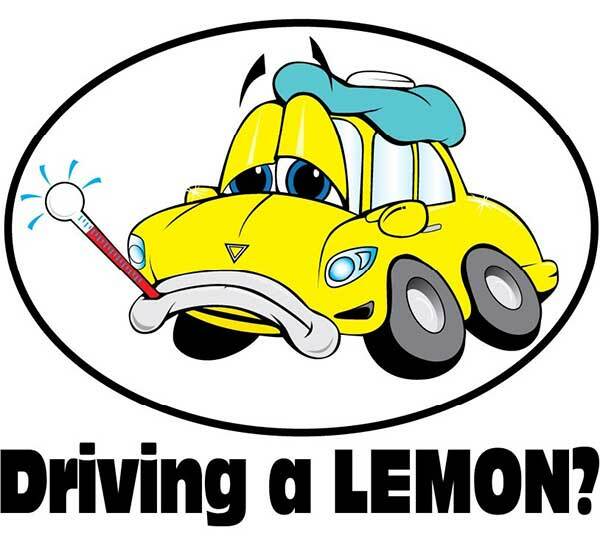 The last step is to hire a lemon car law attorney. The attorney will be able to give you information regarding the lemon laws of your state and whether or not your vehicle might qualify. Once approved and qualified, your case will be taken into court. The good news is that lemon law attorneys are generally free to file. This is mainly because if they win your lawsuit, the manufacturer is responsible for paying the legal fees. However, if they lose, they don’t get paid at all. Nevertheless, hiring a lemon law lawyer is usually the best way to make your case stronger and gain compensation. So, now that you know what a used car lemon law is and how it protects consumers, you will know how to prepare for a lawsuit when you encounter a fraud seller.